Just in case you missed the Right to Life of Michigan Teleseminar on March 30, here is a link to hear the audio recording. Right to Life of Michigan Legislative Director Ed Rivet provided an update on pending prolife legislation in Michigan, the lawsuit filed against an abortion business and also shared details about a special Legislative Day initiative. Right to Life of Michigan President Barbara Listing provided an update on Federal legislation and Pamela Sherstad shared details about the strong prolife stand of the Michigan Knights of Columbus. For the protection of mothers and children, prolife Attorney General Bill Schuette announced his office has joined the Michigan Department of Community Health (MDCH) in filing a lawsuit in Oakland County Circuit Court. The suit seeks to close Womancare of Southfield, P.C., a Lathrup Village abortion clinic which has been operating without the required state surgical facility license. Right to Life of Michigan President Barbara Listing commended the Attorney General for enforcing these health and safety laws that have been on the books for more than a decade. Listing said, "We saw the horrifying results in Pennsylvania when public health laws are not enforced. Inspections and compliance need to happen for the safety of Michigan mothers and babies." Prolife Attorney General Bill Schuette is following the law for the safety of mothers and children. Right to Life of Michigan wants the women of Michigan to know that there are alternatives to abortion which allow their children to have a chance at life. Pregnancy help organizations and people around the state are ready and willing to help those who are facing an unexpected or crisis pregnancy. You are never alone. 1-800-57WOMAN is a toll-free number which offers free assistance to those in need. The Michigan Attorney General and MDCH are suing to close an unlicensed abortion clinic in Lathrup Village operated by Dr. Alberto Hodari. Dr. Hodari has faced lawsuits in the past and said in a 2007 speech to Wayne State Medical Students for Choice that he has a license to lie to patients and doesn't always wash his hands between procedures. ichigan Attorney General Bill Schuette says his office and the Michigan Department of Community Health are suing a Detroit-area abortion clinic that he says has operating without a required state surgical facility license since last summer. The lawsuit filed in Oakland County Circuit Court stems from a 2009 health department investigation that found WomanCare of Southfield was violating state fire code rules applying to freestanding surgical outpatient facilities. The clinic is located in Lathrup Village. The prolife organization Abort73.com has developed a new video on fetal development which asks, "At what point does it become wrong to intentionally kill a developing human being?" We have a new page up on rtl.org under "prolife issues," specifically for the issue of infanticide. Other issues we deal with are abortion, stem cell research, euthanasia, fetal development, adoption, Planned Parenthood's abortion agenda and post-abortion. Find them and more in the top menu on our website. Infanticide has a long history, and several cultures have routinely practiced it for several reasons including birth control, to destroy handicapped individuals seen as unfit and to kill female children because of cultural preference for males. Infanticide is currently considered a much bigger taboo than abortion in America. It, however, still takes place today in the U.S. and in other countries around the world. The prolife Susan B. Anthony List recently produced a commercial featuring former Planned Parenthood employee Abby Johnson. Abby discusses how Planned Parenthood's primary profit center is abortion. On Wednesday, March 30, at 1 p.m., Right to Life of Michigan Legislative Director Ed Rivet will give an update on Legislative Day and pending prolife legislation. A special surprise is planned for this event (a "value" you will not want to miss). In addition to Ed's update, Right to Life of Michigan President Barbara Listing will share information on federal legislative developments to de-fund Planned Parenthood, the number one abortion business in the United States. Public Information Director Pamela Sherstad will giving an update on the Knights of Columbus stand to refrain from supporting Susan G. Komen fundraisers because Komen has ties to Planned Parenthood. The Teleseminar is expected to last about 25 minutes. Please feel free to forward this information on to others who are involved in our prolife work. Details are below. Thanks for taking the time to listen in on March 30 at 1 p.m. The team observed a group of 35 patients who received transplants of their own bone marrow adult stem cells after being treated with chemotherapy to wipe out the rogue immune cells that were attacking their nervous system and causing their MS. An average of 11 years after their transplants, 25% of the patients in Greece have not seen their disease progress, the researchers report. Among patients with active lesions on MRI scans before their transplants, indicating that they were in an inflammatory phase of the disease, 44% have not progressed. For 16 people, symptoms improved by an average of one point on their disability scale after the transplant, and the improvements lasted for an average of two years. Planned Parenthood often claims their services dramatically reduce the number of abortions performed and abortions would increase if their government funding was cut off. Randall K. O'Bannon with the National Right to Life Committee looked into Planned Parenthood's government funding and abortion numbers and found that as government funding of Planned Parenthood has increased over the last decade so too have the number of abortions performed at Planned Parenthood clinics. Planned Parenthood often argues that increased funding will enable them to reduce the numbers of abortion, but their own organizational reports don’t seem to show that. The amount that Planned Parenthood has gotten from federal, state, and local governments has been increasing steadily over the past several years, more than doubling since 1998, but abortions done at Planned Parenthood have not gone down. In fact, they have increased dramatically during that same period, rising at a rate … that very nearly matches the rate of those funding increases (see chart). 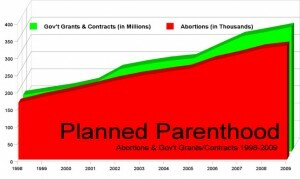 Revenue Planned Parenthood receives in “Government Grants & Contracts” has gone from $165 million in 1998 to $363.3 million in the organization’s fiscal year ending June 30, 2009. During the same time, and at roughly the same rate, abortions have more than doubled at Planned Parenthood, from 165,509 in 1998 to 332,278 in 2009. All this while abortions in the U.S., as a whole, dropped by about 25%. A study by doctors at the University of Miami has found that when adult stem cells are injected into the hearts of patients suffering from enlarged hearts, they can help significantly reduce heart size. Robert Boyce enjoys fishing again after three heart attacks forced him to give it up. Then he joined a study at the University Of Miami Miller School Of Medicine, and in May 2009 had his own stem cells injected into his damaged heart. "Since the procedure, physically I feel better. I breathe a lot better. I do have a little more stamina than I had," said Robert Boyce a patient. He is one of eight heart failure patients in a UM trial published in Circulation Research: Journal of the American Heart Association. Among the findings: all eight patients had a positive response, heart size decreased 15 to 20 percent, scar tissue decreased 18 percent. The Lansing State Journal has an article today on prolife legislation in Michigan. "We have a record number of pro-life legislators in the House and Senate," said Ed Rivet, lobbyist for Right to Life of Michigan. "This Legislature is as anxious as any I've worked with in two decades to make sure we advance the agenda." Within two months of being sworn in, GOP legislators introduced 11 bills backed by Right to Life. Below is text from a press release by the University of Michigan Students for Life. They attempted to organize a debate on abortion at the University of Michigan but were unable to find a single pro-choice group or pro-choice individual to debate prolife advocate Scott Klusendorf. ANN ARBOR, MI—Despite its reputation as one of the most liberal universities in the country, the University of Michigan and surrounding Ann Arbor community has failed to produce an opponent to challenge pro-life bioethicist and author Scott Klusendorf at a public abortion awareness forum. The on-campus event, to be hosted by U-M Students for Life (SFL) on March 30, was originally planned to be a co-sponsored debate-styled forum in which each side would present its view on abortion. However, the absence of both a co-sponsor and speaker for the pro-abortion side has resulted in the transformation of the scheduled debate into a pro-life rally. UMSFL had contacted dozens of pro-abortion individuals, groups, and organizations—including the local Planned Parenthood—over the course of a month and a half, according to president Claire Levis. While a few individuals expressed initial interest, in each case the invitation to participate in the forum was ultimately declined. "We exhausted the list of every influential pro-abortion person we could find," Levis said. "In a place like Ann Arbor, that's a lot of people." University clubs contacted included Students for Choice, F-word, and FemDems of U-M College Democrats. Individuals contacted were members of the university women's studies program, philosophy department, and stem-cell research lab. UMSFL indicated that each speaker would be given equal time and promised a "civil, unbiased setting" because "our club and indeed the movement itself has nothing to fear and nothing to lose from an unbiased event." Some of those clubs and individuals who did respond to the invitation apparently felt otherwise. "We are under no illusions about the event's intent or the speaker's bias," one response email stated. "We certainly won't legitimize the event with our time, financial resources or members." Klusendorf, author of the book The Case for Life, specializes in defending the pro-life position from a philosophical and scientific point of view. He will still speak at the event and address any challenges from the audience afterward, but Lipa says he expects the atmosphere to be more conducive to a pep rally than to a debate. "You can't really have a debate without two debaters," Lipa said. "Nevertheless, it's still an opportunity for people of both sides or in the middle to further explore the pro-life position." While Levis also has high hopes for the revised event, she expressed regret that so many university abortion advocates were so reluctant to discuss such an important issue. "We are disappointed that those who support abortion in private will not stand up in public and give an intelligent account of why they believe what they do. Perhaps it's because they question if a convincing rationale exists." The Abortion Forum will take place on Wednesday, March 30, at 7pm at Rackham Amphitheatre on the University of Michigan Central Campus. There is no cost and everyone, regardless of opinion on abortion, is invited to attend. Visit the Real Prolife Stories section of Right to Life of Michigan's web site to learn how prolifers in Clarkston are making a difference after an abortion clinic moved in to town. One summer day in 2010, Shannon Wygant received a shock. His wife told him that the abortion clinic in Waterford where he traveled to for peaceful prayer, had suddenly moved to his own town of Clarkston. "Clarkston is a very prolife community and it sent shock waves down the pike when people found out," Shannon said. Shannon and his community rallied together to deliver a surprise of their own by renting office space on the floor below the abortion clinic to open a prolife pregnancy resource center. Birth Choice Pregnancy Resource Center held their first open house on February 11 and they've turned the unpleasant surprise into a golden opportunity to reach women closer than they ever could. A new page has been added to the Right to Life of Michigan web site, www.rtl.org, to shine a spotlight on U.S. Senator Debbie Stabenow's pro-abortion voting record. Throughout her years in the U. S. Senate and U.S. House of Representatives, Debbie Stabenow voted at least 6 times against a ban on partial-birth abortion and voted a number of times to either strip a bill banning partial-birth abortion of its effectiveness or delay it from becoming law. While in the U.S. Senate and U.S. House of Representatives, Debbie Stabenow has voted for tax dollars to pay for abortions at least 8 times and voted at least 11 times for tax dollars to support organizations who provide and promote abortions overseas. Legislative Day is an event you won't want to miss. 2011 promises to be a busy legislative year for life issues with a newly elected prolife legislature. Please plan to join us on April 27 for an exciting day filled with information about current prolife legislation and lobby training you can put into action during a full-service plated luncheon with your legislator. All this is followed by keynote speaker Yvonne Florczak-Seeman. Find out more about the event, Yvonne and register online HERE. Baby Joseph, a terminally ill 1-year-old child who was almost removed from a life support while in Canada, has been transferred to Cardinal Glennon Children's Hospital in St. Louis. The hospital plans to perform a tracheotomy on Baby Joseph by the end of the week so his parents can care for him closer to home. The prolife group Priests for Life provided a plane to fly Baby Joseph to the St. Louis hospital and have agreed to pay his U.S. medical bills. Doctors ran tests on Monday on the baby to provide his family with a second opinion on his prognosis. On Sunday, Joseph was moved to the U.S. faith-based hospital, from the London Health Sciences Centre (LHSC) in southwestern Ontario, where he had been since October. The baby's aunt, Faith Nader, said it's like the Windsor, Ont., family has awakened from a nightmare, and they hated the way Joseph was treated in London. "I just need someone to wake me up and say, 'Yes! He's not in London anymore,'" said Nader. "We all hated it so much. It was the way they were treating him. It was so, so horrible. So we just wanted our right to life. We just wanted him out of there." Ashley Weihle-Fram, a sommunications specialist for the St. Louis hospital, said: "At Cardinal Glennon we don't believe in turning any patient away." For background information and how Right to Life of Michigan supported medical care by Baby Joseph's parents, click here. Right to Life of Michigan Vice-President Joseph Kincaid had a letter in the Kalamazoo Gazette discussing how abortion may play a role in the increasing number of premature births. The CHRT concludes saying the causes of premature birth are complex and not fully understood. Again could abortion be an under appreciated cause of premature births? Amy Soble, the editor of the Post-Abortion Review, a quarterly publication of the Elliot Institute, quoted a Canadian study from the British Journal of Obstetrics and Gynaecology in 2009 showing that a prior abortion increased the risk of a subsequent premature birth by 35 percent and having more than one abortion increased the risk by 93 percent. Such premature babies are at a greater risk for low birth weight which is linked to physical and developmental problems such as epilepsy, autism, mental retardation and cerebral palsy. A 2007 study in the Journal of Reproductive Medicine estimated that prior abortions led to 1,096 cases of cerebral palsy in premature babies each year. In 2006, the Institute of Medicine placed prior first trimester abortion on the list of risk factors for premature birth. The following letter was submitted to the Lansing State Journal in response to a recent editorial by Sarah Scranton, the executive director of Planned Parenthood Advocates of Michigan. In a recent editorial Planned Parenthood's Sarah Scranton writes, "Reducing the need for abortion is a goal we can all support." Scranton also claims 90% of Planned Parenthood services are preventative. While Planned Parenthood claims abortion makes up a small percent of its services, they typically fail to mention abortions make more than a 1/3 of their clinic income. Planned Parenthood provided 332,278 abortions in 2009. The average abortion costs around $450. That means Planned Parenthood's abortion income was approximately $150,000,000 in 2009. That's no small part of what they do. It's central to who they are. That's why as the number of abortions have decreased in the United States over the past decade, the number of abortions provided by Planned Parenthood has doubled since 1997. That's also why Planned Parenthood has created a "new patient services initiative" which requires every one of their affiliates to provide abortions by 2013. Planned Parenthood claims abortion is only a small part of what they do but their own internal information tells a much different story. In a 56-44 vote, the U.S. Senate voted against the House budget bill which includes the Pence Amendment. The Pence Amendment passed the House and would strip Planned Parenthood and its affiliates of federal funding. The Senate voted on H.R. 1, the long-term Continuing Resolution the House approved in February that contains the Pence Amendment and pro-life riders that reinstates the Mexico City Policy, stops abortion funding in the District of Columbia, and de-funds the pro-abortion UNFPA, which works hand-in-hand with Chinese population control officials who use forced abortions to enforce the one-child policy. All of the Democrats voted against the pro-life version of the budget bill, but strongly conservative Republican Sens. Mike Lee of Utah, Jim DeMint of South Carolina, and Rand Paul of Kentucky joining them. Because major national pro-life groups heavily lobbied the vote, the three may seen as going against the wishes of the pro-life community and their votes may hurt their standing in their home states with pro-life voters. Our U.S. Congressman from the 3rd District, Justin Amash, failed to join fellow prolife U.S. Representatives to stop tax dollars going to Planned Parenthood and instead cast a vote of "present" on the recent Pence Amendment to de-fund Planned Parenthood. Both National Right to Life and Right to Life of Michigan are very concerned about this vote as it effectively was a "no" vote. Rep. Amash voted "present" despite communications from National Right to Life and Right to Life of Michigan members. In addition, Rep. Amash had previously committed to "support all efforts to eliminate tax funds for any organizations and institutions which perform, promote, counsel or refer to abortion." Representatives from Right to Life recently met with Rep. Amash to express our deep concern with his vote. Rep. Amash explained that he could not vote for the bill as written because it expressly mentioned a particular organization - Planned Parenthood - which he felt was not lawful, and in voting "present," he felt he was taking a principled position. Prior to the Pence Amendment vote, National Right to Life provided information to Rep. Amash on the legality of this amendment approach. Also, although Rep. Amash supports, instead, HR217 to de-fund Planned Parenthood, as he claims this is a stronger of the two bills, this does not seem to be correct as HR 217 only denies Planned Parenthood Title X funds whereas the Pence Amendment denies Planned Parenthood ALL federal funding. We believe this is a defining vote for all prolife supporters, and we have encouraged Rep. Amash to re-consider his vote if and when the opportunity arises once again. RLM encourages all prolife constituents in the 3rd Congressional District to contact Rep. Amash and express their disappointment with his vote on the Pence Amendment. Rep. Amash's Grand Rapids' district office number is: (616) 451-8383; his D.C. number is (202) 225-3831. We have provided some ideas for responses but encourage you to express your concerns in your own words. * "I want to express my disappointment with Rep. Amash's vote on the Pence Amendment to de-fund Planned Parenthood. I am prolife and believe we should make every effort to deny our tax dollars to the largest abortion provider in the country." * "I am prolife and want to express my disappointment with Rep. Amash's vote of 'present' on the Pence Amendment to de-fund Planned Parenthood. I believe he should have voted 'yes' even if Planned Parenthood was named in the bill." * "I am disappointed that Rep. Amash didn't vote to de-fund Planned Parenthood in the Pence Amendment. I feel his vote of 'present' was a missed opportunity to stand up for the unborn despite his explanation as a rule of law." * "I want to register my displeasure with Rep. Amash's vote on the Pence Amendment to de-fund Planned Parenthood. I feel his explanation is a feeble attempt to justify a vote against denying funds for the largest abortion provider in the country." Please remember to be courteous but firm. See the RLM web site, www.rtl.org, for information on the home page about the February 18th Pence Amendment vote. Thank you on behalf of the unborn. On Monday night, prolifers from the Oakland County area presented the Auburn Hills City Council with 10,000 signatures of individuals who don't want Planned Parenthood to open a new clinic in Auburn Hills or to make sure the clinic doesn't perform abortions. "They need to say 'we are not going to perform abortions' at that clinic," said Monica Migliorino Miller, director of Citizens for a Pro-Life Society. The group, along with Central Oakland County Right to Life, Michigan Life Span and Stand to Oppose Planned Parenthood Abortion Racket in Auburn Hills, sponsored the petitions, which held 10,850 signatures, most of which were from Oakland County, including about 400 from Auburn Hills residents, said Brenda Savage of Central Oakland County Right to Life. "I ask you to use every resource available to prevent this from happening," Savage told the council. The Spring 2011 issue of the Right to Life of Michigan News is now online. Articles include stories about the 38th Annual March for Life, prolife presentations during Black History Month, prolife legislation in Michigan and Planned Parenthood's abortion agenda. Q: What does it mean to be prolife? A: Being prolife means living your beliefs, and I strongly believe in the sanctity of life and that unborn children at any stage of development are granted the right to life. It means not only advocating for the life of the child, but helping parents work through those decisions, and helping them facilitate either having the child or placing the child into adoption. It also means that at the end of life, not interfering with the natural death process and allow it to take place with dignity and respect. I served as my church's representative to Michigan Right to Life for 10 years, and my wife currently serves on the board of the Lakeshore Pregnancy Center, which promotes life through crisis centers in Michigan, including Allegan, Holland, Allendale, and Grand Haven. I will continue to be a tireless voice for the unborn children and will work to ensure that these precious lives are protected. 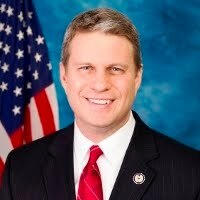 View all of Representative Huizenga's answers. The Michigan Senate Judiciary Committee reported out Senate Bills 160-161 on March 1. The bills would prohibit partial birth abortions (SB 160) and provide sentencing penalties for anyone convicted of violating the law (SB 161). The vote on SB 160 was 3 Yes, 1 No; the vote on SB 161 was 3 Yes, 1 abstain. The bills are now pending on the Senate floor, but no time frame has been set for a vote on the bills. Senators Rick Jones, Tonya Schuitmaker and Tory Rocca voted for the bills. Sen. Bieda raised a procedural objection and voted against SB 160 and abstained from voting for SB 161. Right to Life of Michigan President Barbara Listing testified in support of a ban prohibiting partial birth abortion. Listing said, "Now is the time for Michigan to finally place this measure to protect babies who are inches from being born on our law books once and for all." Those representing Planned Parenthood and the American Civil Liberties Union voiced their opposition to a ban on partial birth abortion. Visit the Right to Life of Michigan web site, www.rtl.org, to hear Barbara Listing explain the harsh reality of partial birth abortion and Right to Life of Michigan Legislative Director Ed Rivet address why Michigan needs a state law banning partial birth abortion. Help us communicate with lawmakers by standing up for the unborn. Sign the petition to ban partial birth abortions. Let's make Michigan a safer place for babies being born. Right to Life of Michigan (RLM), Michigan's largest grassroots prolife organization, expressed its support for the rights of a terminally ill baby boy being treated in an Ontario Canada hospital. A team of volunteers that has rallied around Joseph Maraachli and his parents has been consulting with RLM since early last week when there was some discussion of transferring Baby Joseph to a hospital in Michigan. Though negotiations between the family and the Canadian hospital no longer involve a possible transfer to Michigan, Right to Life of Michigan remains keenly interested and involved in monitoring this tragic case. RLM Legislative Director Ed Rivet has been in daily communication with the team in Canada and has carefully reviewed the primary document being used to deny Joseph's parents the right to direct his medical care. "The facts and events surrounding this case are convoluted, but the position of the hospital is clear. The medical team believes that Baby Joseph should have a medically-orchestrated death, rather than allow him to be taken home and given hospice care by his family," Rivet said. "That not only violates Joseph's right to compassionate end-of-life care, it completely tramples on his parents' rights to make decisions and care for him. The medical establishment is wrongly substituting their values and ethics for that of the parents." Watch a FOX News video of Michigan mother Ellen Salter discussing her 8-year-old daughter Meghan, whose condition is similar to Baby Joseph's. Meghan's story was previously featured in the Right to Life of Michigan News. “Ten years ago, we talked about the potential of nuclear transfer for therapy. But it turns out the technique was of no practical relevance. You would never do it in humans for a number of reasons. First, it’s very inefficient. With mice, that doesn’t matter because we can do hundreds of transfers to get a few mice. But human cloning is another order of magnitude more difficult than in mice. And people can’t even get the eggs to practice [on]. My former student Kevin Eggan, along with his colleagues at Harvard, spent years putting in place a protocol to get volunteer egg donors. They spent a couple hundred thousand dollars just in advertising. And I think they got one or two donors. Kevin’s postdoc, Dieter Egli, who went to Columbia, told me that he got a couple [of] human nuclear transfers going, but they all arrested at the 6- or 8-cell stage. The Family Research Council's David Prentice provides some background information and his thoughts about Jaenisch's statement. America's largest abortion provider is spending $200,000 to air ads on cable stations asking viewers to call their Senators and ask them to keep funding the abortion industry giant. The Planned Parenthood abortion business is rolling out a new television commercial designed to persuade members of the Senate to support the continuation of its taxpayer funding. The $200,000 ad buy includes commercial spots that will run on cable television, plus network TV and radio in the District of Columbia. The ads are a response to the House vote for the Pence amendment to ensure the Planned Parenthood abortion business and its affiliates are not eligible for any federal taxpayer dollars across any federal programs or departments. The Senate is also considering a continuing resolution and could vote on an amendment that would also cut off funding, though pro-life advocates are expected to have a much harder time in the Senate than they did in the House in getting the amendment approved, thanks to pro-abortion Senate Democrats having a majority control over the chamber.